Is there a possibility of understanding an entire art movement or a culture through a creative expression of a single artist? If this is possible, what exactly can be deduced from this? 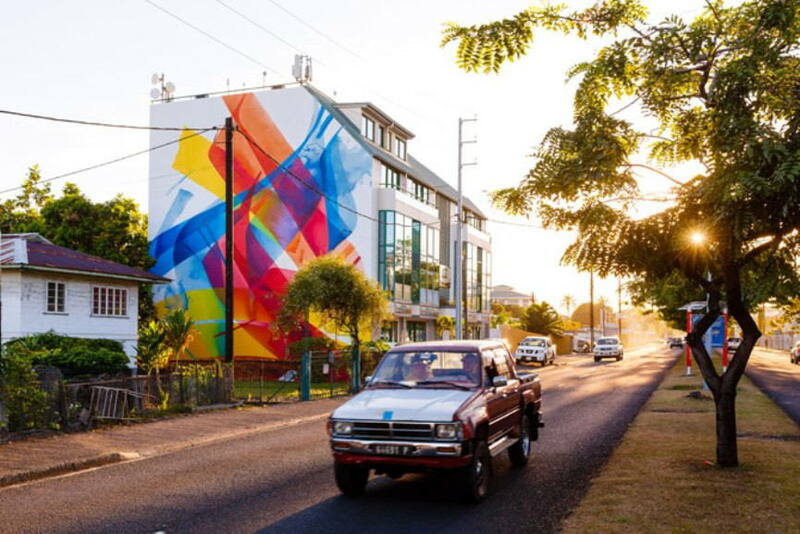 After all, the graffiti phenomena are relatively young concepts and practices, thus accessible to various forms of interpretation (to find out more, read our article deliberating this topic Defining Street Art?). 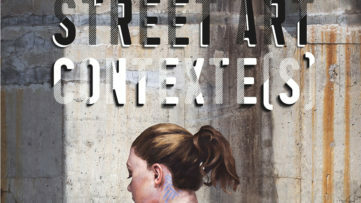 However, the rapid transformation of street art points to a complex nature of these phenomena. One of the questions which surely, and almost instantly, comes to mind refers to the relation between concepts itself – can we speak of an evolution of sorts between these two movements, or is there something more? Answering the questions in an instance, one could argue that graffiti stands in the light of street art as a form of a tradition. Here, we are going to look at these questions through the creative instances of Claudia Walde aka MadC. What does it mean to say that graffiti represent a tradition in the arena of street art? More importantly, what is the role of a street artist in this regard? In the words of T.S. Eliot, “It (tradition) cannot be inherited, and if you want it, you must obtain it with great labor.” There is a certain sensibility which appears to be so inherit to talented artists, that can be seen in the work of those individuals which create with such ease. It is the work of those artists that we, the public, seem to have an instant connection to – an impromptu intimacy. This is actually a reflection of the artist sensibility for history and timelessness. When it comes to the creative process of artists we respect, the expression that echoes the sum of the artistic expression which had preceded his or her work. In this regard, there is nothing new, only different interpretations of tradition. It is precisely this attribute we are looking at through the work of MadC. Let us take a step back, and address the question of the transformation of Claudia Walde to MadC. 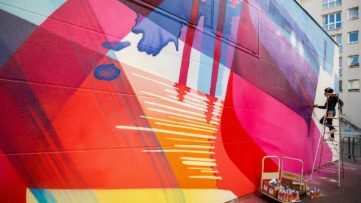 Since her teenage period, MadC was well on the way of experiencing the artistic urge to create in public urban spaces. 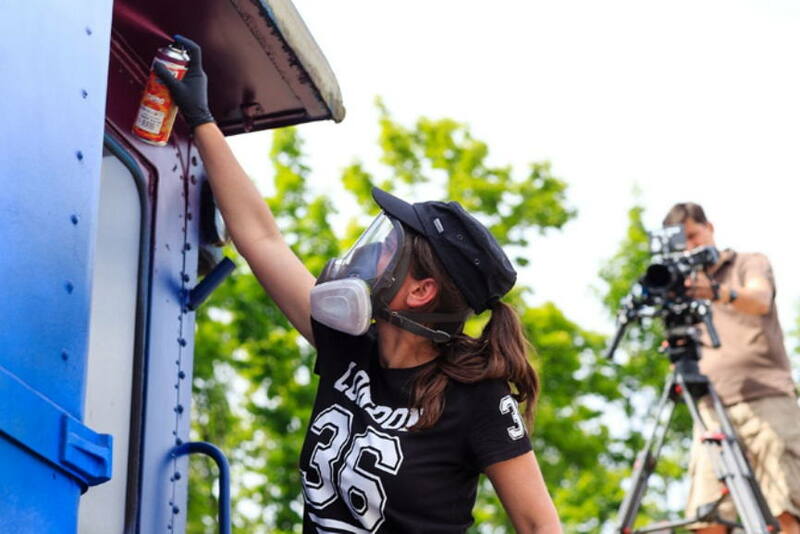 She had created her first graffiti piece in 1996, and hasn’t stopped painting walls ever since. She had managed to build a particular aesthetics shortly, making way for her recognizable large and dynamic wildstyle pieces, which showed detailed scenarios and narratives packed with elements, that seemed to had come from science-fiction novels and fantasy books. However, apart form the influence of the street, the distinctive style and visual language, through which we recognize MadC’s work, was surely a result of two important factors. On the one hand, an education in graphic design (the artist had acquired degrees from University of Art and Design, Halle and Central Saint College, London) enabled MadC to perform many meticulous explorations when it comes to shape and form. 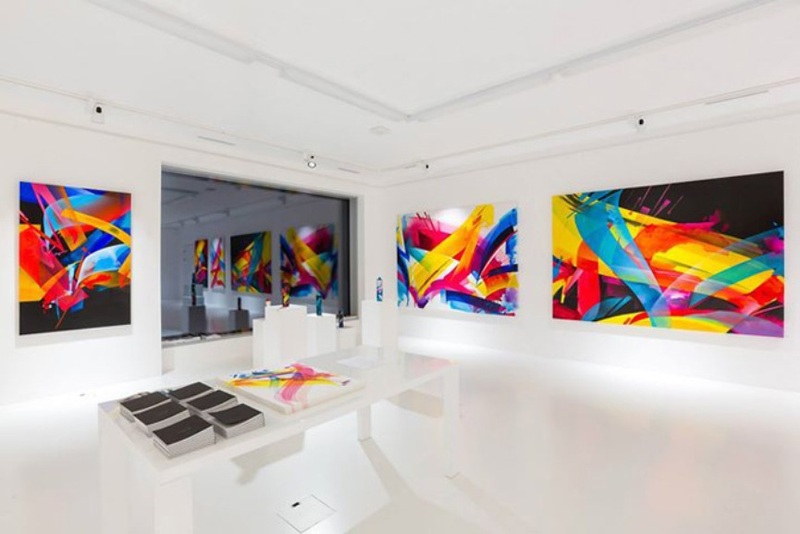 On the other hand, the artist’s devotion to fine art (she has said many a times that she draws inspiration from such masters as Van Gogh) had enabled her to transform her work and evolve as an artist (read more about the divide between urban and fine art in From Fine Art to Urban Art). But, the greatest strength of MadC’s work comes from the power to express herself in a way which perhaps echoes the aspiration of an entire generation of street artists. This can be seen in her (re)interpretation of traditional wildstyle graffiti. It is quite interesting too see the shift in focus when it comes to MadC’s work during the last two or three years, in comparison to the work she had done during a decade ago. The devotion to a form of “neoclassical graffiti”, an expression which has become a distinct style of the artist, shows that a devotion to a seemingly reduced aesthetics can reveal new horizons. The combination of abstract shapes inspired by wildstyle lettering and an intelligent play with perspective, creating an interaction between foreground and background, echoes a true understanding of the origins of graffiti, represented through a personal and emotional expression. But, let us turn briefly to those creative outputs that have made MadC the artist she is today. 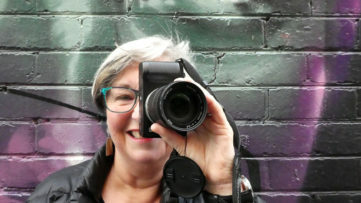 Apart from her outdoors and gallery activities, she has become globally respected as an author and designer of urban art books. Published under the name of Claudia Walde, the two books, from 2007 and 2011, have had more than one edition. In her first book Sticker City – Paper Graffiti Art, MadC travelled the globe to explore a new phenomenon which had become more and more present in the urban space. She investigated the culture of hand-painted and hand-crafted posters and stickers. Her work had incorporated a research which included Bleck Le Rat, Revs and Shepard Fairey. Among others, she analyses the methodology of such artists as Swoon and Invader, in order to understand the particularities of a different kind of expression in the urban space, apart from the spray can. In the 2011 book Street Fonts – Graffiti Alphabets From Around The World, on the other hand, MadC is showing the diversity of graffiti lettering and her love for typography. She has managed to collect alphabets from more than thirty countries and more than 150 artists from around the globe . The book is a result of an interesting “dialogue” between the author and the artists, since MadC left the creative freedom for expression to each artist featured in the book. In the anticipation of her third book, we can enjoy the presence of MadC’s work in other publications. 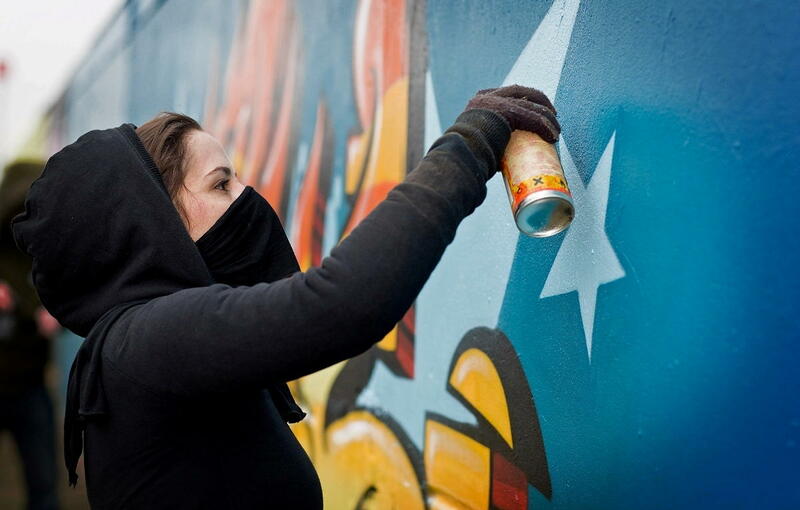 Most recently, she has been featured in The Urban Contemporary Art Guide 2014, 100 European Graffiti Artists and London Graffiti and Street Art Book. 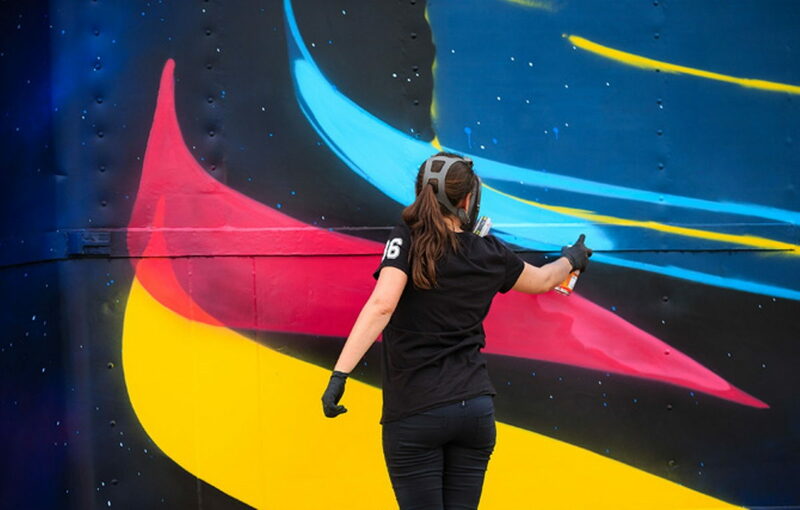 This kind of research potential which MadC had managed to capture through her books is something that has enabled her to have a different and more informed look at the entire contemporary street art scene. It is interesting to see that the period of research and publishing coincides with the period of the creative transformation of the artist. 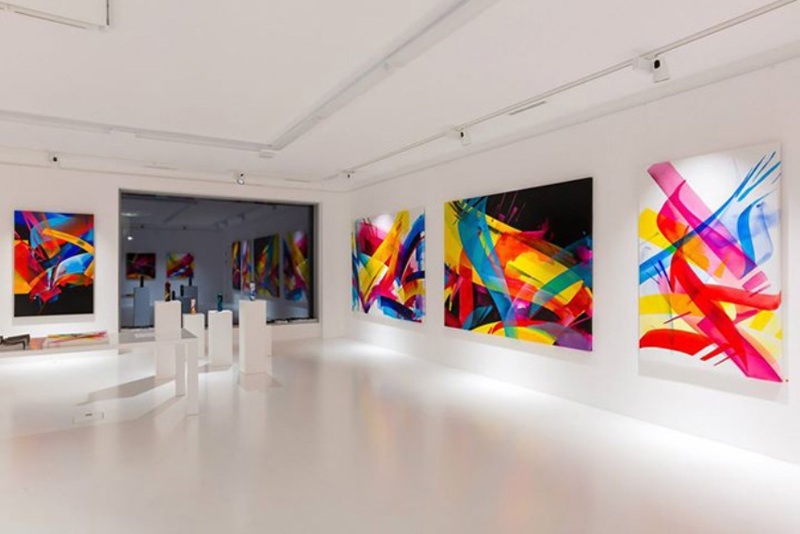 The climax of an earlier period of her career, which presented itself as the now cult 700-Wall, in 2010, marks a moment in time when MadC turns to a different kind of expression, one that we have been calling neoclassical graffiti. As the second decade of the 21st century began, she turned to this kind of, already recognizable, aesthetics. The culmination (for now, at least) is surely the body of work which was presented at Kolly Gallery at the end of summer and beginning of autumn 2014 (read more in Mad in Zurich). There was an interesting addition to MadC’s canvases in the body of work of her latest exhibition. Namely, she created Kaleidoscope cans, pieces which MadC had made with hand cut bits of glass serving as vessels for the representation of her visual language. The kaleidoscopes themselves are shaped as spray cans, paying homage to an important element of the creative history, not only MadC’s, but for the entire urban art culture. Finally, it could be said, without a doubt, that the work of MadC is a paradigm of articulating urban and gallery space activities into a whole. This has been an attempt to shed light on a particular artistic expression which articulates so many different aspects of the phenomenon of street art. In the work of MadC we are faced with a young creative whose transformation as an artists is clearly visible. We are faced with a notion of addressing the issue of the essence of street art culture, in a way which resonates the importance of never-ending (re)interpretation of the two concepts. Finally, we are faced with an innovative approach to classic subject matter, something that is not always easy for a creative individual to achieve. In the end, we return where we had begun, we turn again to T.S. Eliot. To paraphrase the great poet, an artist is a catalyst of that which is created, a person who can transpire the impersonality of art into an innovative form of artistic expression. If creative work is perceived as an ongoing “revisiting” of tradition, then MadC is a true innovator in the field of contemporary art.